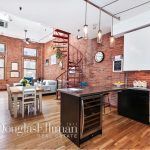 This Tribeca penthouse has over 1,700 square feet of awesomeness over two floors: a lofty living and dining area on the first level, and a master suite on the second, which leads to its very own, private roof terrace. 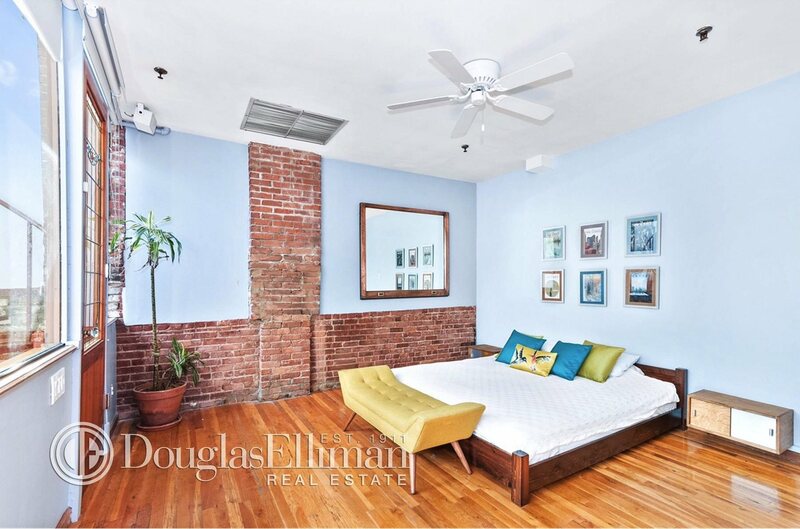 Inside you’ll find 13-foot ceilings, exposed brick and hardwood floors over a gracious, two-bedroom layout. 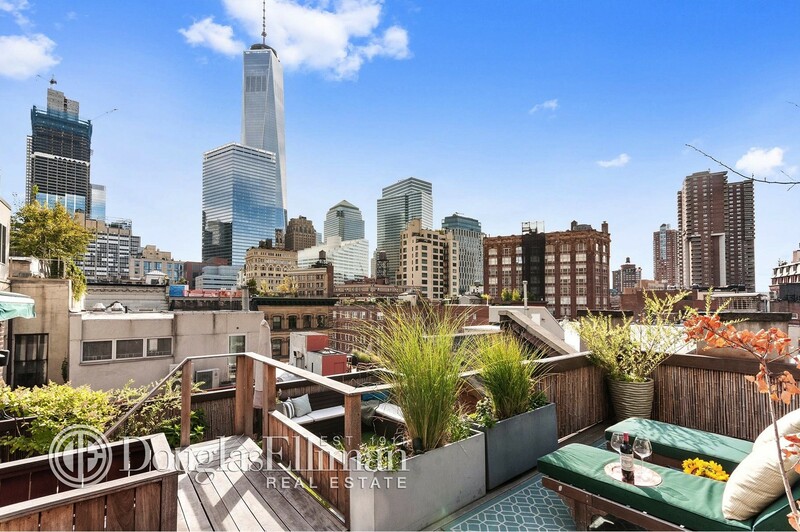 Upstairs, it’s all panoramic Lower Manhattan views that include 1 World Trade Center. 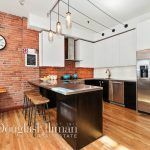 Located at the condo 67 Thomas Street, the impressive pad is now up for grabs, if you’ve got $2.675 million. 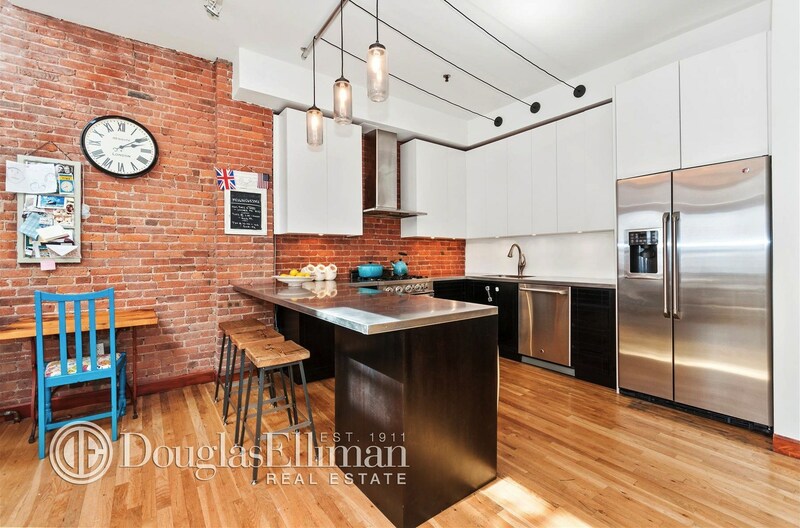 On the first level, a long foyer leads to an open kitchen, which looks out onto the living and dining space. 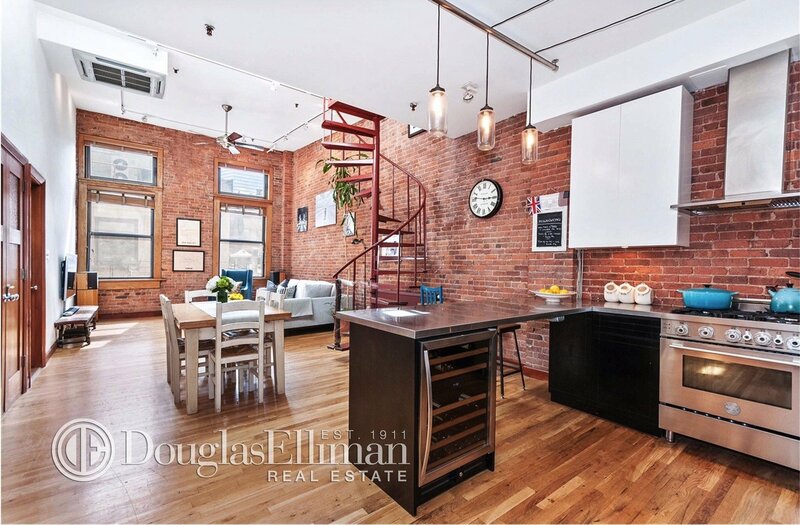 Light comes in from large, south-facing windows, which floods the lofty apartment. 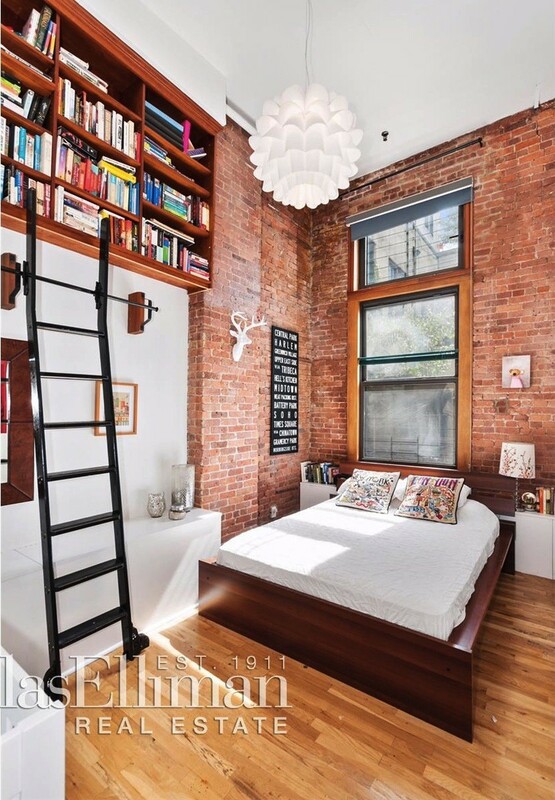 Custom light fixtures take advantage of those high ceilings. 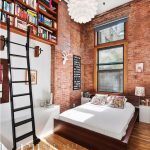 A bedroom on this floor plays off that lofty vibe, with exposed brick and a ladder leading to some high-up, custom bookshelves. 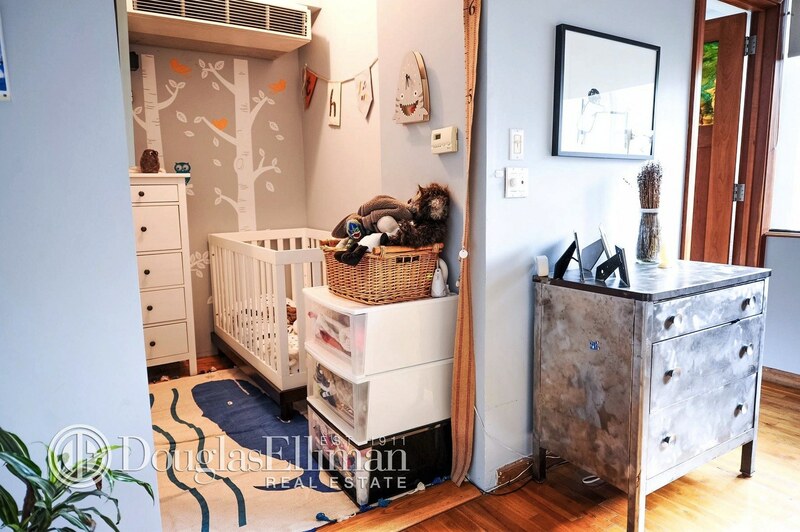 Even though it’s the second bedroom, it comes with a walk-in closet and ensuite bathroom. By dedicating the second floor to the master bedroom, the owners get the luxury of a private suite. 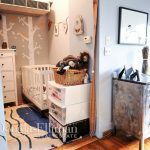 A separate dressing area off the bedroom can be used as a nursery (as it is now) or a home office. 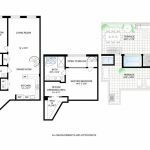 But what we really love up here is the master bathroom, which is outfitted with a freestanding soaking tub, separate glass shower and is lit by stunning skylights. 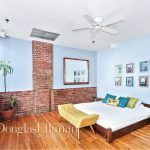 The 500-square-foot terrace can be accessed from the stairs or more directly from the master bedroom. 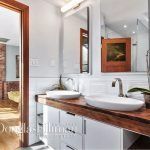 It’s been completely decked out, with built-in ambient lighting, gardening sprinklers and irrigation system, grill, outside dining and wood lounge chairs. 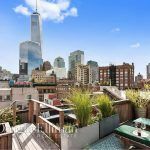 Too bad summer’s over–any buyer will have to wait until next year to start throwing impressive parties up here.